Touchstone of Mayville is a Community Based Residential Facility licensed by the State of Wisconsin, serving those with Traumatic Brain Injury, Developmental Disabilities, Physical Disabilities, Alzheimer’s and Dementia. Nestled in a country like setting, we offer around the clock, certified staff that are trained to care for your loved ones. Resident centered care is very important to us, so we create an Individual Service Plan for each resident, allowing us to work together in reaching personal goals for every individual. Our Class CNA licensing allows our residents to be ambulatory, semi-ambulatory or non-ambulatory, with a maximum capacity of 8 residents. A smaller setting allows our staff to easily attend to each residents needs on a one to one basis, while our attractive campus style living creates a homelike environment for our residents. At Touchstone of Mayville we enjoy continuing simple family traditions. Traditions that promote group activities, ensuring that everyone is part of the Touchstone family. 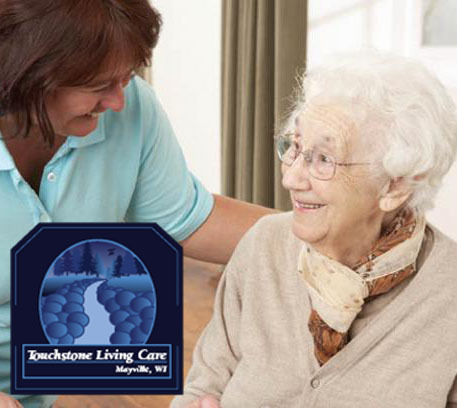 Touchstone Living Care of Mayville partners with our sister facilities including Touchstone Living Care of West Bend, Sunset Ridge Jefferson, Sunset Ridge Johnson Creek, and Sunset Ridge Memory Care. © Touchstone Living Care Mayville. All Rights Reserved.